One reason homeowners don't always get the professional McKinney Carpet Cleaning they need is that they don't realize all the benefits there are. It's about a lot more than just making your home and carpets look attractive, although that is certainly on the list as well. When you work with the crew of professionals at Trurenew Clean we can help educate you on the other advantages as well. Like, for one thing, this is an excellent way to enhance the overall air quality in your house. This can be especially important for anyone who has someone in their household who struggles with health issues like asthma or allergies. No matter how clean you think your house is, there is always going to be dirt lingering deep in the carpet fibers and padding if you do not let professionals take care of the job for you. Our Carpet Cleaning Company professionals look forward to working with you and helping you get that deep down clean you really need. 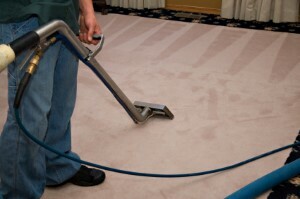 At the very least, you need to be taking care of getting an annual carpet cleaning. But if you really want to care for your home and prolong the lifespan of your carpeting you should be letting our McKinney Carpet Cleaning take care of your ongoing cleaning and maintenance. There are so many things that can happen in the course of a year, from dirt and blood to mud and ink and even problems like rips and ripples. The Trurenew Clean crew can help you take care of whatever needs to be done in order to prolong the life and attractiveness of your carpets. Opting to install or salvage existing wood floors in your home is a wise choice; not only do they look amazing but this increases the value of your home. Of course the only thing is that you then have to take good care of this type of flooring and what better way then to let our McKinney Wood Floor Cleaning experts do the job for you? At Trurenew Clean we know what goes into restoring and retaining the ultimate look of your hardwood floors. You want to be able to take great care of fabrics in your home like drapes and upholstery. The good news is that our skilled experts have the training and experience needed to care for just about any type of fabric there is. Don't just take our word for it, let our McKinney Upholstery Cleaning show you in person what quality workmanship looks like. 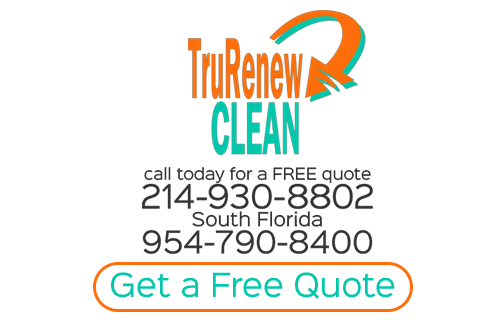 When it comes to all of your McKinney carpet cleaning and related tasks, the name to trust in is Trurenew Clean. If you are looking for McKinney Carpet Cleaning then please call 214-930-8802 or complete our online request form.